It was quite the weekend for Middle States on the west coast. 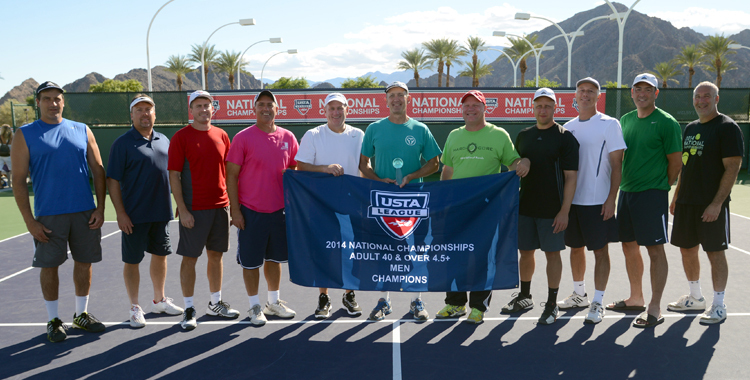 The men’s tennis team from Reading, Penn., representing the USTA Middle States Section, captured the national title at the USTA League 40 & Over 4.5+ National Championships held at the Indian Wells Tennis Garden in Indian Wells, Calif.
Two women’s teams from central Pa., meanwhile, took home fourth-place finishes in the 3.5 and 4.5 divisions. In the national championship match, the men’s team from Reading defeated Honolulu, Hawaii, 3-2. Earlier in the day, the team defeated a team from Seattle, Wash., 3-2, in the semifinals. The team is captained by Don Hutchison and features John Aybar, Thomas Gavin, Max Honer, Ted Snyder, Ken Grove, Paul McDonough, Jim Burmester, Michael Schnably, Charles Lavin and Steve Ostroff. It plays out of Hillcrest Racquet Club. The top four teams in order of finish were: Middle States, Hawaii, Northern California, and Pacific Northwest. 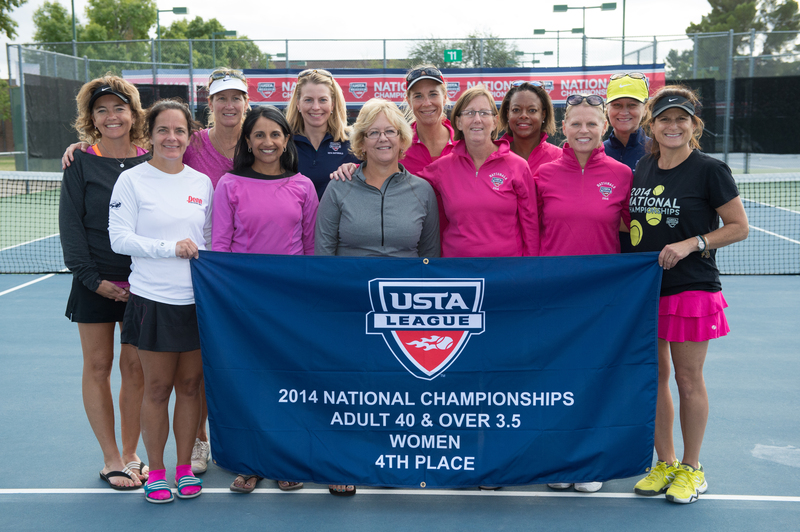 Established in 1980, USTA League has grown from 13,000 participants in a few parts of the country in its first year, to more than 820,000 players across the nation today, making it the world’s largest recreational tennis league. To see a photo gallery of Middle States teams competing at Nationals, click here. 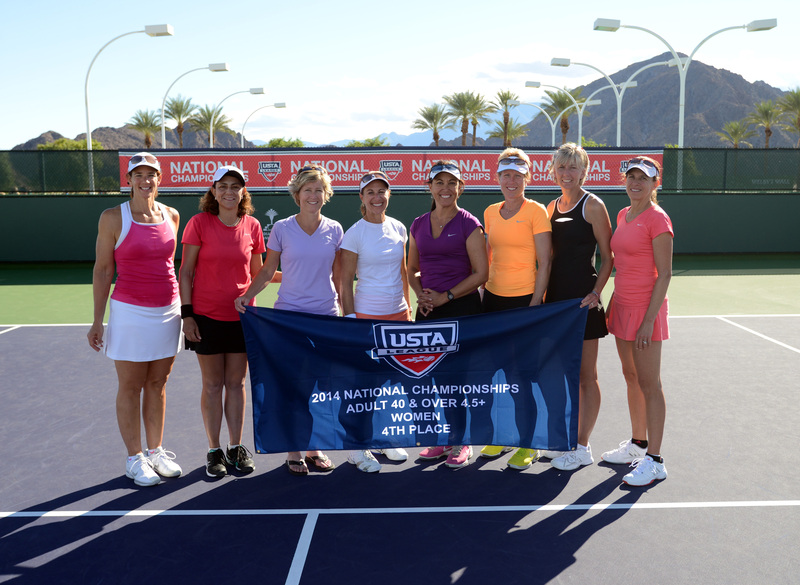 For more information about USTA League tennis, visit the Middle States website.